School is back in session, and Asphalt Green’s Recess Enhancement Program (REP) is here to help you make recess a fun, safe, and active part of the school day! We're bringing you our favorite playground games of all time. 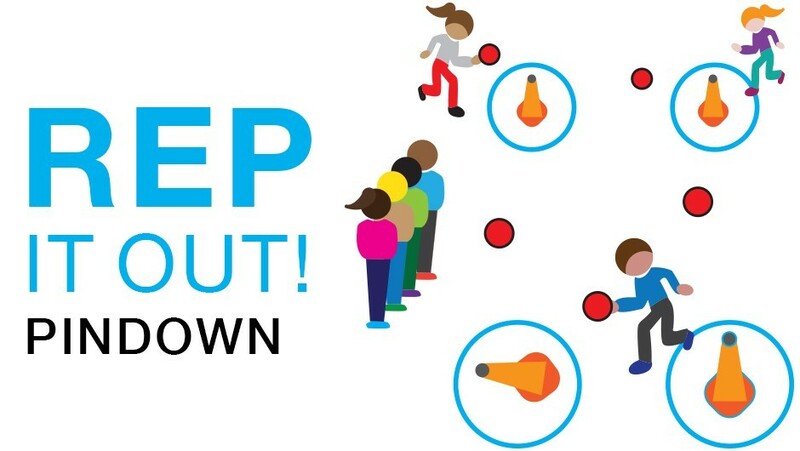 Let's start the year off with a bang by playing Pindown. It's a great way to get a large group of students active and moving. 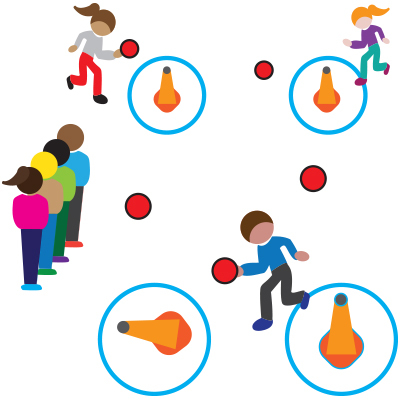 Scatter hula hoops throughout the playing area with a cone/bowling pin in the middle of each one. Assign one player to guard each cone/pin. The players who are not guarding a cone/pin will line up. When the facilitator yells, "go," each player will try to knock over the cones/pins of other players with a gator ball. Players may move around to pick up a ball and guard their cone/pin. When your cone/pin is knocked down, you are out, and that player will go to the end of the line. The first student in line then goes to the open hula hoop and joins the game. Instruct students to high-five each other when they join the line. EASY: Two players per team (or more for bigger groups).